So I watched a much-awaited movie with my friend earlier. (Thanks, master.) And well, this isn’t going to be a movie review. This is going to be a compilation of the thoughts that I had before, during and after the movie. Without spoilers, of course. Need I mention the movie’s title? Okay, okay, I will. 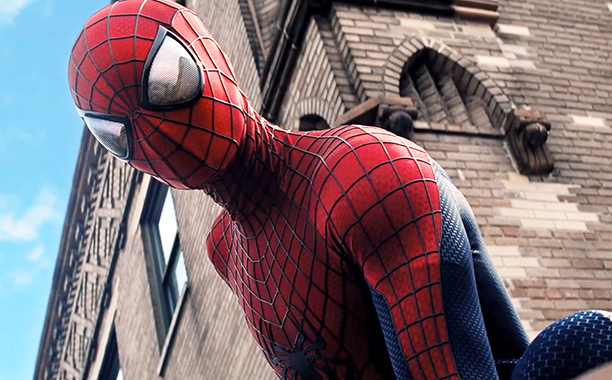 Amazing Spider Man 2. As I was offered the chance to see the movie as a treat, I didn’t really have time for it to sink in. You know, that feeling when you’re on the way to the movie theater when you’re like, “Oh, my goodness. 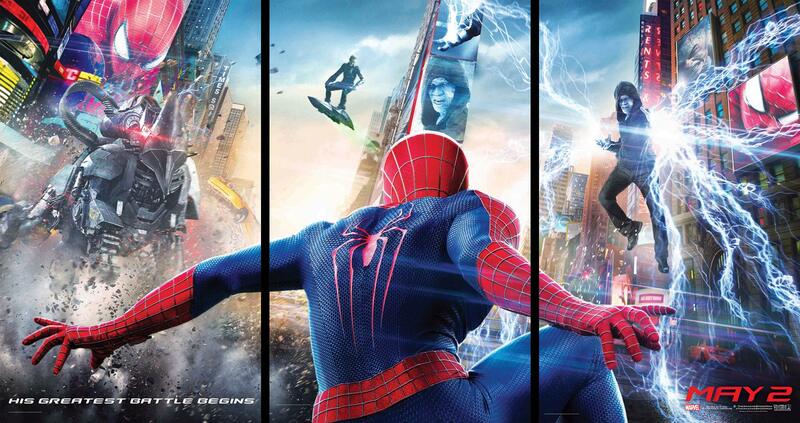 I am going to see The Avengers/Maleficent/The Fault in Our Stars/MUST – SEE MOVIE OF THE YEAR today with my family. This is going to be so exciting!” And you feel so happy and excited for the rest of the trip that you’re practically jumping by the time you’re entering the mall. DO NOT GO ONLINE. EVER. IF YOU HAVEN’T SEEN A CERTAIN MOVIE YET. My over-all feelings and thoughts of the movie were… Well, both me and my companion, both spoiled by the outside world, thought that it was the most depressing movie in the world. Besides, you know, the first five minutes of Up, or Titanic. Putting all that aside, we both agreed that the spoilers had ruined our view of the movie forever, and if we hadn’t known what was going to happen, ASM 2 (because it’s getting kind of tiring to type the whole movie title) would have been pretty good. Now, I’m more of a DC girl than a Marvel girl, and the Spiderman plot line (and the X-Men plot line, but that’s another story) is one I’m not very familiar with. But based on some of my friends, it was actually pretty accurate, more so than the first movies starring Tobey McGuire. Maybe when I’m familiar with the comic’s plot, I’ll come back and confirm this fact. Most of my praise, though, goes to the cast. I also enjoyed Andrew Garfield (because who doesn’t enjoy Andrew Garfield?) and Emma Stone’s relationship on screen. I found myself wishing (countlessly) that I could find someone as tall, funny, and carelessly handsome as Andrew. 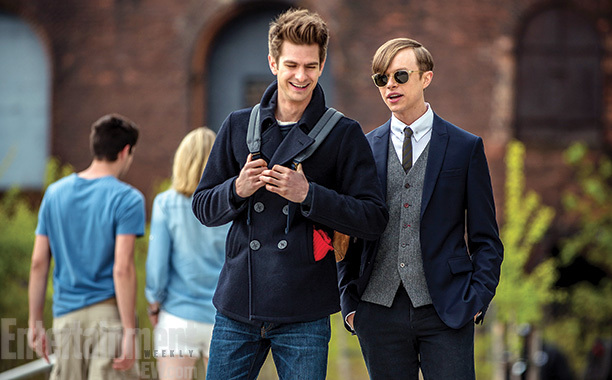 I also commend Dane de Haan for his portrayal of Harry Osbourne. While I was watching the film, I couldn’t help but point out the difference between de Haan’s Harry and James Franco’s Harry. If I were to choose between the two, I’d definitely choose de Haan. He pulls off the ‘rich, spoiled brat’ air that I think Harry Osborne should have. Not to mention that for some reason, he had me (and the girls behind me) noticing how pale blue his eyes were, and the appeal. Let’s see, let’s see, how do I go about this without spoiling anything to the readers? I just decided. I can’t. Saying anything else would ruin the thing entirely. It’s a pretty okay movie. Like I said in the title, I didn’t entirely regret it. I wouldn’t go so far as to say that my 200 pesos (technically, my friends 200 pesos) were a complete waste. Everything in the world has a good side and a bad side, right? It’s just up to you to see if the director and producers efforts were enough to make you like it. PS. Be prepared for a whole load of lens flares.